Why should you care about who people marry? Because society is built on and shaped by marriages. Marriage improves the safety and goodwill in our communities. It protects our children. And it sustains the diversity of the sexes. On average, married individuals are happier than unmarried persons. Marriage protects against normal declines in happiness during adulthood. of America’s adolescent murderers are children from fatherless homes. Children in married households are 6x less likely to commit suicide than children with divorced parents. of America’s youth with behavioral disorders are children from fatherless homes. of Americans agree that having a successful marriage is one of the most important things in their lives, but less than half of unmarried adults express a desire to be married. Children with married biological parents are more likely to enroll in and to graduate from college than children from one-parent families, including those with stepfamilies. Authors Sherif Girgis, Robert P. George, and Ryan T. Anderson give a reasoned answer to the fundamental question, “What is marriage?” Watch the video, and read the book. This research pulls together some of the key sexual economics arguments made by social scientists Roy Baumeister, Kathleen Vohs, Timothy Reichert, Mark Regnerus, and George Akerlof. Watch the video. Libertarian author Jennifer Roback Morse, Ph.D., explains why government can’t just “get out of the marriage business." Read the article. As God’s people are transformed by a better understanding of His plan for the family, we’ll be better able to show His love for humanity. 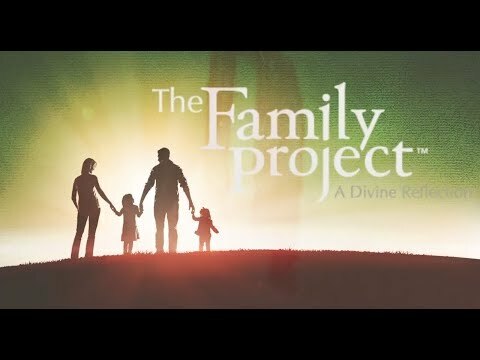 Truly understand the significance of God’s great plan for humanity through the family. Live with purpose and an eternal perspective. Model God’s redemptive design for family to neighbors, peers, coworkers, and, ultimately, culture. The Heritage Foundation: A research and educational institution whose mission is to formulate and promote conservative public policies. Family Research Council: A Christian organization promoting traditional family and the Judeo-Christian value system upon which it is built.